Defective RAM can cause all sorts of problems. If you're wondering why your PC isn't behaving, a RAM diagnosis may be in order. Venka Tesh asked how to diagnose possible RAM problems. 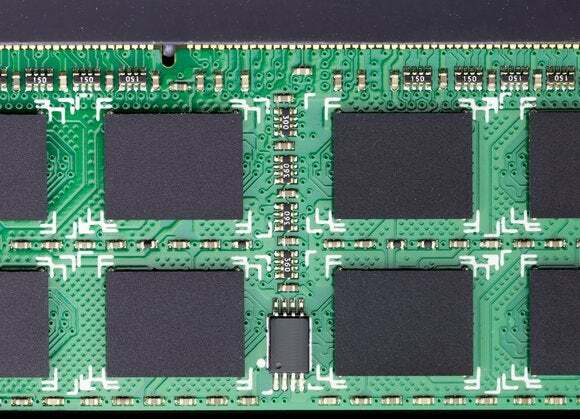 Random Access Memory (RAM) wears out over time. If your PC frequently freezes, reboots, or brings up a BSOD (Blue Screen Of Death), bad RAM just might be the problem. Corrupt files can be another sign of bad RAM, especially when the corruption is found in files that you’ve used recently. Another possible symptom: The PC slows down considerably as you use it, but seems re-energized after a boot. But don’t just pull out and replace all of your RAM sticks. You need to diagnose them. That way, you’ll know which stick (if any) is bad. And no, don’t try to replace individual chips on the stick. Windows comes with its own memory diagnostic tool. Use the Search tool that came with your version of Windows (for instance, Start > Search in Windows 7, or the Cortana field next to the Start button in Windows 10). Search for memory and select Windows Memory Diagnostic. In the resulting window, click Restart now and check for problems. Windows will shut down, and your computer will reboot into the memory diagnostic program. You don’t have to do anything but wait. When it’s done (just a few minutes), it will boot back into Windows. Now comes the hard part. Search for event and select Event Viewer. In the Event Viewer’s left pane, expand Windows Logs and click System. Then right-click System (yes, you have to click it and then right-click it) and select Filter current log. This brings up a new dialog box. Pull down the Event source menu. It’s very long, so you’ll have to scroll down to find and then check MemoryDiagnostics-Results. Click OK to close the dialog box. Back in the Event Viewer, note the listings in the top middle section; there will probably only be two, even if the message at the top of the pane tells you that there are thousands. Double-click each one for information. If the viewer tells you you have a RAM problem (I didn’t), shut down your computer and remove all but one of the RAM sticks. Then reboot and repeat the testing. Repeat with each stick. That way, you’ll be sure of which stick—or sticks—need to be replaced. Then read my article on researching what kind of memory to buy.